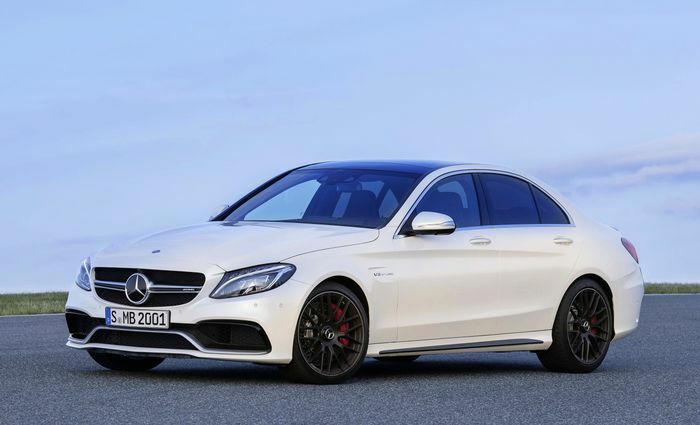 Merc's latest mad super saloon is here, and it's available with either 503bhp or 469bhp. Your move, BMW! We’d been hoping all the chatter about a 500bhp C63 had been true, and sure enough, Merc’s new M3-beater has a power figure we’re all very happy with: 503bhp. Sound like a familiar figure? That’s because it matches the output of the AMG GT S, with which it shares its 4.0-litre twin-turbo V8 engine. Mercedes will offer this new hyper saloon in two states of tune: the aforementioned 503bhp and 516lb ft of torque in the C63 S, and a ‘standard’ C63 that gets 469bhp and 479lb ft. 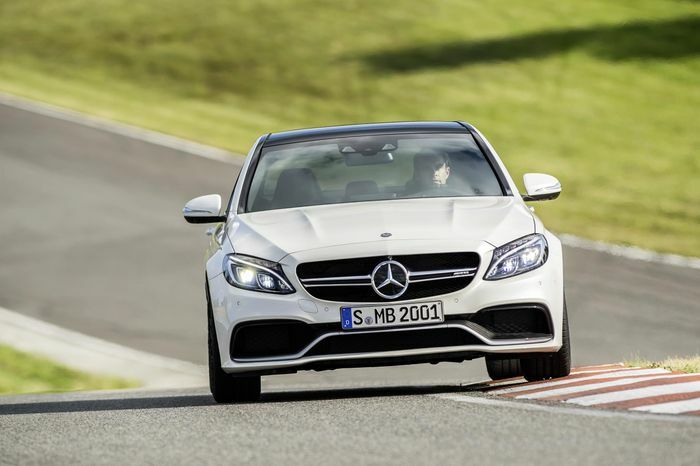 Both are comfortably pokier than the outgoing W205-based C63, which develops 451bhp and 442lb ft. It makes the current BMW M3’s 425bhp seem a little limp, however it’s worth pointing out that at 1715kg, it’s over 200kg heavier than the Bavarian. 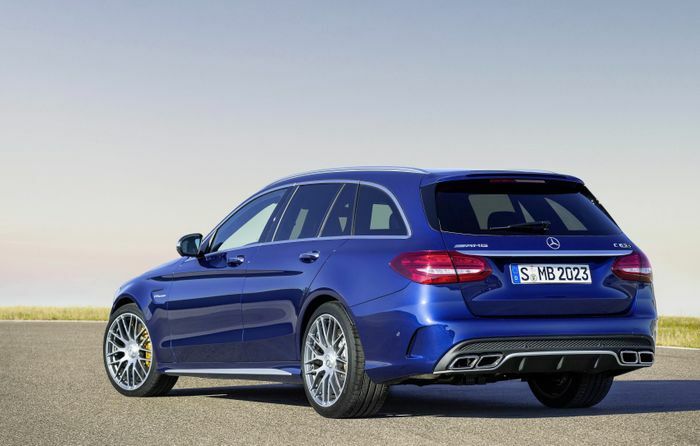 Because of this, the more powerful C63 and C63 S completes the benchmark 0-62mph sprint in about the same time as the M: 4.1 seconds in the standard car, and 4.0sec in the S.
Should you want to transport some large dogs or Ikea furniture around, there is an estate available (below), which is a tenth slower to 62mph in both standard and S guises. All will hit the electronic buffers at 155mph, with power sent to the rear via AMG’s seven-speed ‘Speedshift’ automatic gearbox. It’s quick in a straight line, but it should be a pretty handy steer too. As well as the mighty engine, the C63 has been given the AMG GT’s ‘dynamic engine mounts.’ These stiffen up when you’re driving quickly, which helps sharpen up the steering responses. The suspension is also pretty clever. There’s a four-link setup at the front with independent steering knuckles and a wider track than the standard C-Class, while the rear is a multi-link system with increased negative camber for more grip. The dampers are electronically controlled, three-stage units. The C63 comes with a mechanical locking rear differential, while the C63 S has a snazzier electronic version. Both have beefy brakes, with 390mm discs at the front and 360mm at the rear, and a carbon ceramic option should you be fond of the sensation of your internal organs being rearranged under a heavy squeeze of the pedal. It may have a shouty V8 under the bonnet, but the C63 is actually reasonably economical if you have the self control to stay away from the throttle long enough. 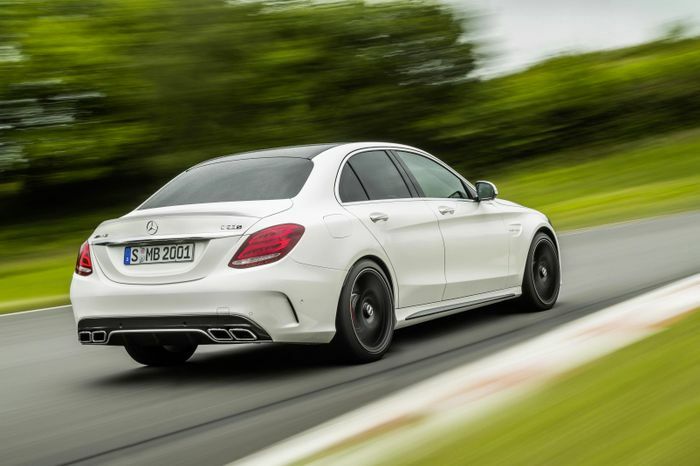 The claimed combined figure for the C63 is 34.5mpg, while those quad exhaust tips will emit just 192g/km of Co2. Not bad. On the exterior - save for those quad tail pipes, a little bonnet bulge and some posher wheels - things are reasonably restrained; there isn’t a whole lot to tell this apart from the standard C-Class in AMG Sport trim. Pricing hasn’t yet been revealed, but the regular C63 is expected to cost under £60,000, around the price of the outgoing model. It’ll be available to order in the UK next month, with first deliveries taking place in early 2015.